for $109,900 with 3 bedrooms and 2 full baths, 1 half bath. This 2,558 square foot home was built in 1960 on a lot size of 1.3 Acre(s). 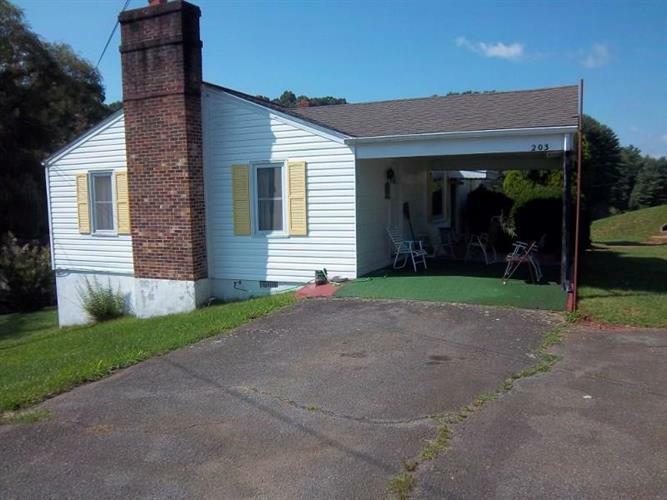 This property is located just out of the city of Galax in Grayson County. House has lots of space with large rooms, 2 fireplaces, 1.5 baths on the main and another in the walkout basement. This property has about 1.3 acre with an additional 0.8 acre lot available on Water Wheel Rd. Buyers are to determine internet service and school. Listing data provided courtesy of the Internet Data Exchange Program of the Southwest Virginia Association of REALTORS. The data relating to real estate for sale on this web site comes in part from the Internet Data Exchange Program of the Southwest Virginia Association of REALTORS. Real Estate listings held by brokerage firms (licensees) other than Weichert Realtors include the name of the listing brokers.